What will you find in the application? You will have the ability to learn the language thanks to educational films. The Actors are native speakers who will teach you real American and British pronunciation. To make the message more attractive, the films have been enriched with 3D animations. Films are showing life communication situations, which while watching them you will get familiar with the language, pronunciation and grammatical structures-learning new vocabulary at the same time. Exercises which are using native speakers records and professional photos. They are very important element of the course, which not only exercise automatical understanding from listening but also develops sensitivity to the grammatical structure and raises awareness of the language in general. Through photo lessons learning becomes much simpler than you suspect. We prove that education may be good fun! Education games provide an additional catalyst for the knowledge gained during using the course. Of both the lexical and grammatical. They bring an element of fun to learn what makes it more pleasant. In this place theory turns into practice. Here you can test yourself, interactive exercises are part of every lesson. 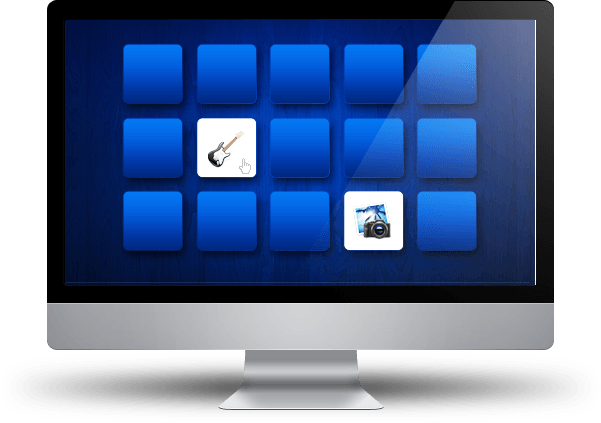 During the course you will solve hundreds of exercises which will help you to remember lessons you done and thanks to automatic answers you will know immediately what you can and what needs to be done. Do you think that grammar is neither easy nor pleasant? Not anymore! Our grammar zones include quick and specific explanations. It perfectly complements multimedia of each lesson. Don't be voiceless in a foreign country! What will give you vocabulary and grammar if you will be afraid to talk? Break with us the language barrier! Thanks to advanced speech recognition technology you will be able to play the role of Michael and Emily in dozens of situational dialogues. Learn how to make new relationships, ask for directions, order food in a restaurant and even how to hold business talks! Immediately after photo lessons, it is one of the components which indirectly shapes the practice proper pronunciation and intonation. 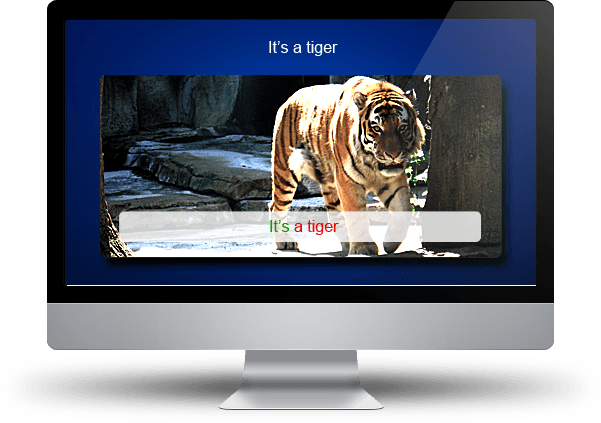 Dictation is checking how user can deal with capture of individual words while hearing the whole sentence and checks if is able to properly write phrase which was heard. It is addition to learning which is allowing us to quickly and easily repeat the vocabulary of a given range of material and listen to the pronunciation. In addition, just click "print" and learn wherever you want at any time! 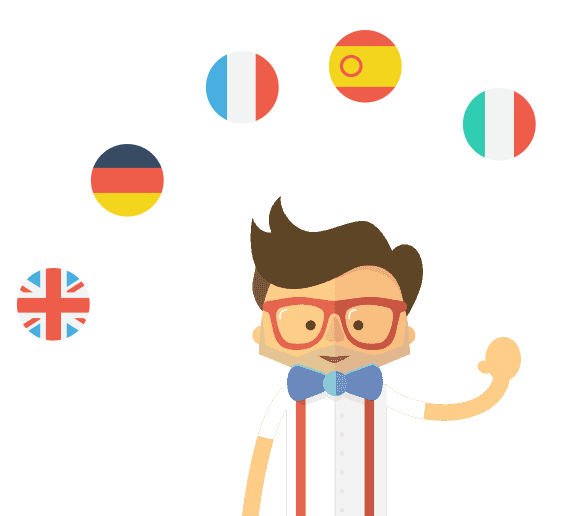 What do you gain by learning languages with Lerni online? You choose the level of proficiency, without limits, you follow the course either in a step-by-step manner or according to your individual plan! You learn at any time of the day and in any location - doing a course in the application on the phone or using the browser on your computer. Vocabulary learning with Lerni becomes extremely simple thanks to the revision module. You learn the most necessary words and phrases, practice their spelling and pronunciation. You can check your progress in the statistics and scoring system, rankings and badges motivate you to systematic learning. With the author's teaching method you immerse into the language - listening, talking, reading is what makes you learn quickly and permanently! After completing the course level you will receive a certificate confirming the completion of the course and your language skills. Test 7 days for 1 USD!